IMMA presents the first Museum exhibition by one of Ireland’s most compelling and respected artists Grace Weir. 3 Different Nights, recurring is the largest exhibition of Grace Weir’s work to date, comprising some 30 works including three major new film commissions, A Reflection on Light, Black Square and Dark Room, and two new series of paper works, The history of light (Betelgeuse) and Future Perfect. IMMA presents the first Museum exhibition by one of Ireland’s most compelling and respected artists Grace Weir. 3 Different Nights, recurring is the largest exhibition of Grace Weir’s work to date, comprising some 30 works including three major new film commissions, A Reflection on Light, Black Square and Dark Room, and two new series of paper works, The history of light (Betelgeuse) and Future Perfect. These new pieces are presented with complementary works that together span over 20 years of Weir’s creative output. Working primarily in the moving image and installation, Weir is concerned with aligning conceptual knowledge and theory with a lived experience of the world. She probes the very concept of a fixed identity and her unique approach to research is based on a series of open conversations and experiments with scientists, philosophers and practitioners from other disciplines. Interested in those moments in time before definition occurs, Weir’s works in the exhibition also explore the dynamic of practice and representation. For Weir meaning becomes tangible through activity and the works make reference to both the act of making and the mediums in which they are made, including where time itself forms the work. The exhibition title 3 different nights, recurring references a note made on a Whirlpool galaxy drawing by William Parson’s in mid 1840s. Pre-dating photography, the drawing was repeated over three nights as a form of proof of his discovery of the spiral nature of galaxies. Presented as an activated project 3 Different Nights, recurring will develop while at IMMA. The research informing the new work will be developed and made evident with a series of performative lectures and experiments, connecting the audience with the scientific explorations and collaborations that underpin Weir’s work. The exhibition is presented as part of an exciting new initiative, New Art at IMMA, proudly supported by Matheson, which allows IMMA to continue to support this vital work in a strand of programming that recognises and nurtures new and emerging talents, new thinking and new forms of exhibition-making. 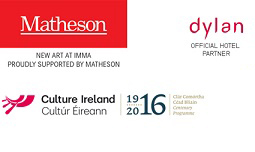 Three film works receive their premiere in IMMA during this exhibition. A Reflection of Light travels across different locations and histories that surround the hanging of a painting by Mainie Jellett titled ‘Let there be Light’ in the School of Physics in Trinity College Dublin. Having studied under the founder or cubism Albert Gleizes Jellett became one of the key Irish Modernist painters. Her grandfather and uncle were both physicists, the latter stating the Lorentz-FitzGerald Postulate which was a major step towards Einstein’s Theory of Relativity in 1905. Filmed in Mainie’s former house on Fitzwilliam Square, the New Galleries at IMMA and a number of spaces in Trinity College Dublin, the film weaves together events from across time that have brought the painting to this particular location, traversing different fields and disciplines to present a wider context to the concerns of the painting. The film Black Square explores the making of an image of the black hole that lies in the exact centre of the Milky Way Galaxy. Black in a black sky, these holes are one of the last unknowns in physics. Documenting the film crew as they journey across the Atacama Desert in Chile to the Very Large Telescope at the top of Cerro Paranal, where the astronomy team are at work, the film travels to the edge of comprehension, reaching the limits of our ability to both understand and to represent something. Black Square explores the dynamic between what can be understood and what cannot, a mobile threshold where intuition meets calculation, and the limitations of representation in such a place. The third new film work; Dark Room, was filmed in both Mary Rosse’s original darkroom in Birr Castle which had lain untouched within the Castle from the middle of the nineteenth century and in the reconstruction of this darkroom in the Science Centre in the Castle’s grounds where the entire contents have been moved and reconstructed by conservators. Mary Rosse was a pioneer in photography in Ireland in the 1850s. The two different films, one filmed in the original space and the reconstructed version in the reconstructed space, are shown side by side forming an ambiguous entity whose lucidity comes in and out of clarity. Dark Room oscillates between the harmony and dissonance of memory and its mediation through photography. Grace Weir and Sam Thorne (Artistic Director, Tate St. Ives) discuss her new exhibition 3 Different Nights, recurring, comprising of new and existing works that span over 20 years of Weir’s creative output as well as her current projects as residency artist in the School Of Physics, Trinity College Dublin. Listen here to this talk. Grace Weir, Dr Shane Bergin (physicist, TCD) and Dr Sean Enda Power, (philosopher, UCC) explored concepts of time and recurrence, the paradoxical nature of light and the making of a photograph in a lecture-performance, held in the lecture theatre where Erwin Schrödinger in 1943 gave a public series of lectures called What is Life?. 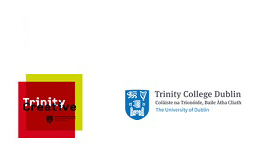 The talk was presented in association with the School of Physics, TCD. To see documentation images of the event visit the album on our facebook page. A reflection on light, presented by Grace Weir at Trinity College, Dublin. In association with Grace Weir’s exhibition at IMMA, the artist presents a film screening of A reflection on light with a live musical accompaniment and a small exhibition at the Schrodinger theatre, Fitzgerald Building, The School of Physics, Trinity College Dublin. Weir’s film A reflection of light, currently showing as part of her exhibition 3 Different Nights, recurring, is amongst the prize winners of the Trinity Creative Challenge. There will be an exclusive IMMA Edition by the artist and an extensive catalogue to accompany the exhibition with essays by Sam Thorne, Peter Brooke and Caoimhín Mac Giolla Leith among others. Please contact the IMMA Shop for more details. Listen to artist Grace Weir discuss her exhibition alongside Rachael Thomas, Head of Exhibitions, IMMA, and Victoria Evans, Assistant Curator, IMMA. Read a review of the exhibition in Artforum’s Critics’ Picks. Review in the April issue of Frieze Magazine. Read a review from Aidan Dunne of The Irish Times.